A delicious smorgasbord of great licks and memorable melodies. Anyone out there remember R.A.W., the Dalton offshoot band who released a brace of excellent, albeit overlooked albums in the mid 90's? If you do and like me have a soft spot for the classy Scandie Rock infused melodies of the 80's (think Treat, Glory, etc.) chances are you've already picked up on Coldspell, but if you haven't pull up a chair and let me enlighten you as to the delights of this particularly intriguing dish. Formed as long ago as 2005 (primarily as a showcase for the not inconsiderable songwriting talents of former R.A.W. guitarist Michael Larsson), Coldspell subsequently debuted some four years later with their 'Infinite Stargaze' set. Filled with brash guitars, shimmering vocals and striking Scandie imbued melodies; the oh so compelling blend of everything from Treat to Gotthard to Whitesnake to Kings X (with the odd timeless Led Zep lick thrown in for good measure) made for one of the most surprising debuts of the year … indeed, I'd go one further and proclaim that to these ears at any rate, it was without doubt 'the' debut of the year! With disarming ease it somehow managed to weave a magic spell on virtually everyone who came within a mile, a string of glowing reviews fitting testament to its impact making entrance in a growing market place ripe for the taking. And, as if that wasn't enough, it brought to the fore one Niklas Swedentorp, a real undiscovered gem of a singer whose dulcet tones were some of the finest to grace the melodic rock scene all year. 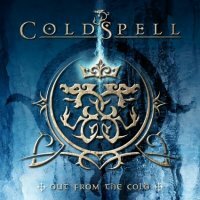 Two years down the line and Coldspell have morphed into a viable touring band; the solid nucleus of Larsson, Swedentorp and keyboard player Matti Eklund now strengthened by the addition of new bassist Anders Lindmark (ex Dalton/R.A.W.) and former Lost Souls sticksman Perra Johanson – although I believe some, if not all of the drum parts on this latest release can be credited to Europe's Ian Haugland. So, having been so impressed last time around with the delights of 'Infinite Stargaze', what does sophomore effort 'Out From The Cold' have to offer? Well, in truth the stock answer to that one has to be 'more of the same for the most part', although the production has more oomph and there's the odd little flourish here and there which serves to indicate that the songwriting process is evolving – check out the brooding 'The King' for example, or the hard hitting title track 'Out From The Cold' and you'll see what I mean. Consequently, the same big choruses, swaggering riffs, swirling keyboards and monstrous hooks that made the debut stand out still abound throughout, which means tracks such as 'Heroes', 'Run For Your Life', 'Fate', 'Time' or 'Angel Eyes' still push all the right buttons. Given the beefier production – especially on the guitars – it's nice to see that none of the old subtleties have been lost, the punchy Gotthard meets Treat stance of yore still the main point of attack. And yep, Swedentorp still has the chops, his self assured and seemingly effortless delivery once again marking him out as special. Upbeat and energetic on the whole, 'Out From The Cold' successfully captures a variety of moods and tempos, deftly distilling them down into a delicious smorgasbord of great licks and memorable melodies. 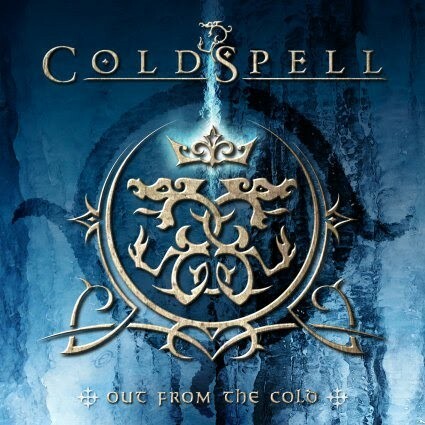 Renowned for being 'difficult', sophomore albums can so easily disappoint … great to see Coldpsell bucking that particular trend!